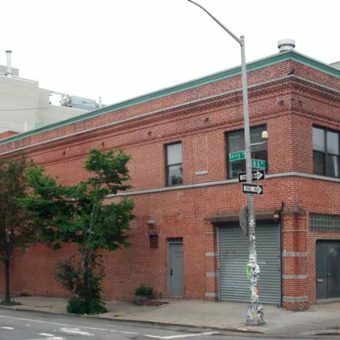 Originally a meat processing facility located in the once the gritty industrial neighborhood of Williamsburg, Brooklyn, this building was converted into an artist’s loft and studio in the 1980’s. 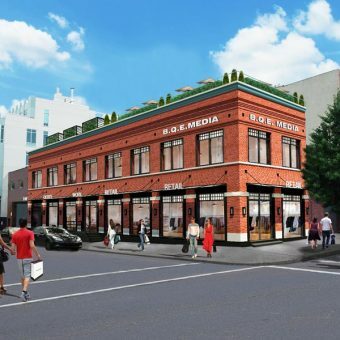 Recently as Williamsburg has personified the new ‘cool’ area to live, work and shop, KOHN ARCHITECTURE was asked by L2 Capital, a Chicago based developer to reimagine the building into a new retail and office use. 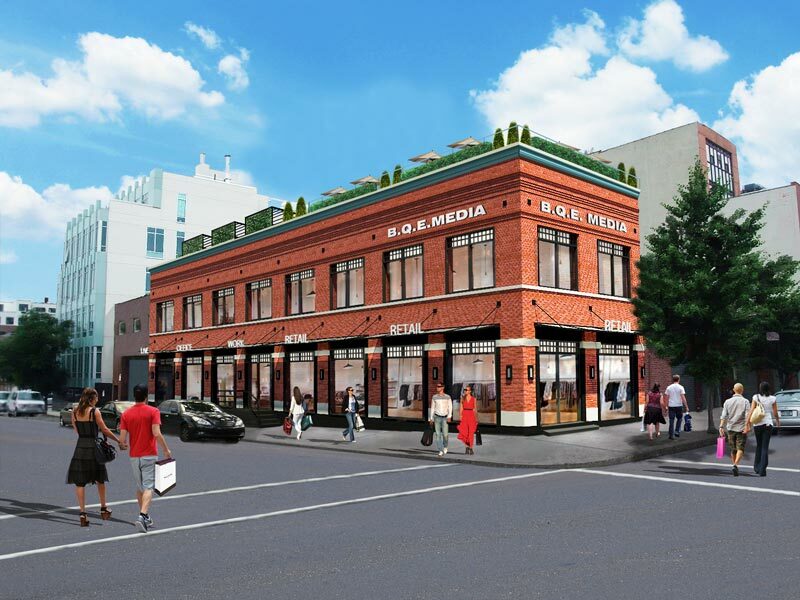 KOHN ARCHITECTURE redesigned the entire facade with a new brick, cast stone, glass and steel storefront system. The facade is punctuated by new glass and steel awnings that were inspired by the old steel awnings typically on warehouses at the turn of the century in New York. The 20,000 square foot building’s interior was reconfigured for a new retail use on the Ground Floor. A new ADA compliant ramp and elevator were added and a roof garden amenity for the second floor office tenants. All new lighting, signage, HVAC, sprinkler, plumbing and electrical systems were installed to bring the building completely up to today’s current codes and regulations.